I've been excited to eat at Lemon and Olives Greek Taverna since I saw a friend posted about it last year but was only able to visit the restaurant last April. But the long wait was really worth it, not to mention that I live in Manila and the restaurant is in Baguio City. My first dining experience at Lemon and Olives was quite memorable. 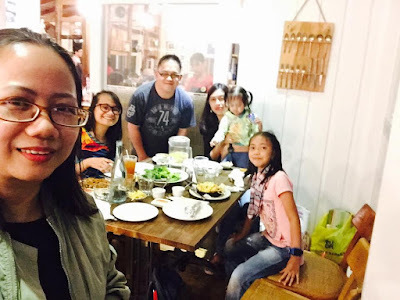 We got invited to dine there by a Baguio based blogger friend and his family. And we haven't visited Baguio for a long time, and it was also my first time to meet my hijada a.k.a. The Grumpy Baby. 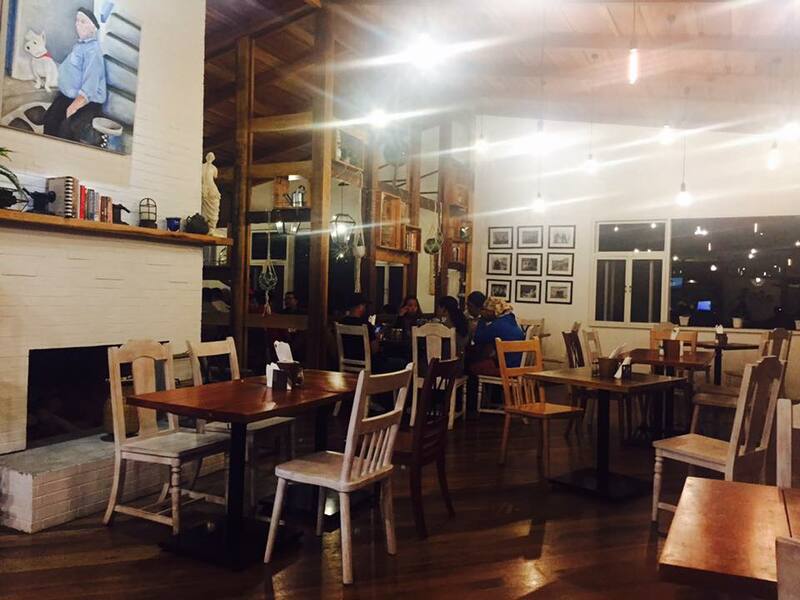 Lemon and Olives is located at Outlook Drive which was somewhere near Minesview / Camp John Hay area in Baguio. The restaurant used to be an old vacation house that was refurbished. I've read somewhere that the owner/chef used to have a Greek restaurant in La Union. I love the homey and rustic vibe of the restaurant. 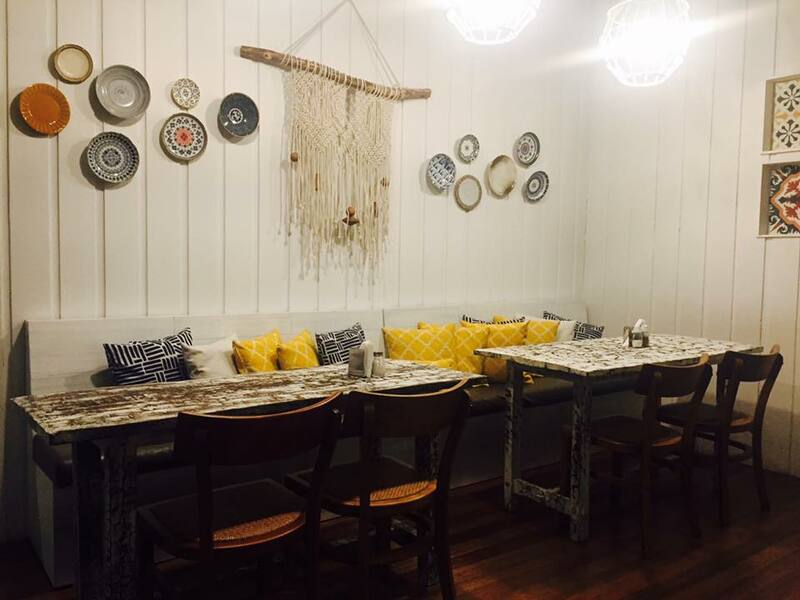 It is very spacious, great for get-togethers or functions. Like most Greek restos that I've been to, the colors- white and blue dominated the exterior and interior of the restaurant. There's also an al fresco area although I can't see the view since it was way past 7pm when my daughter and I arrived there. I think its nice to get a table there though since I find it more romantic to have a part of the evening sky as a backdrop, and maybe include a bottle of wine on your order. 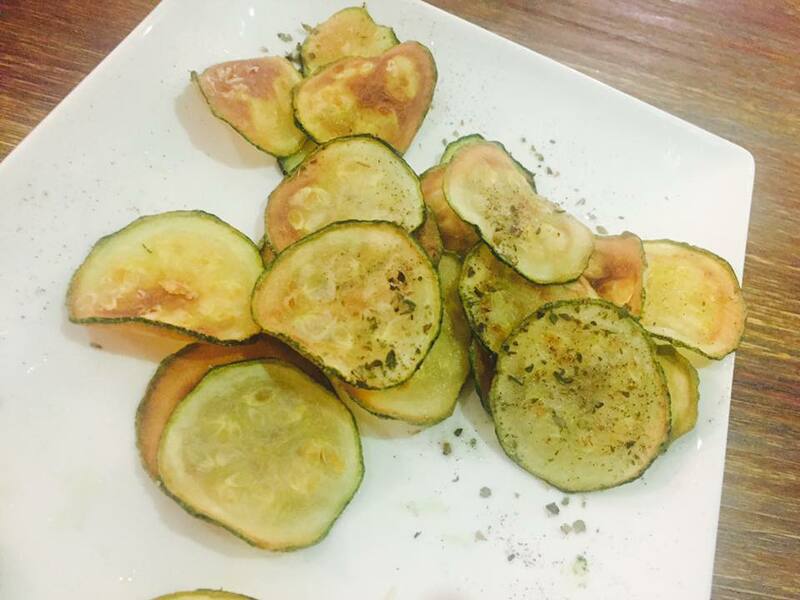 Zucchini Chips, P140. It was my first time to taste zucchini chips and I think its a nice meal starter. The kids love this. Greek Salad, P280 (sharing size). I think it is only in Baguio that I really enjoy eating lettuce. 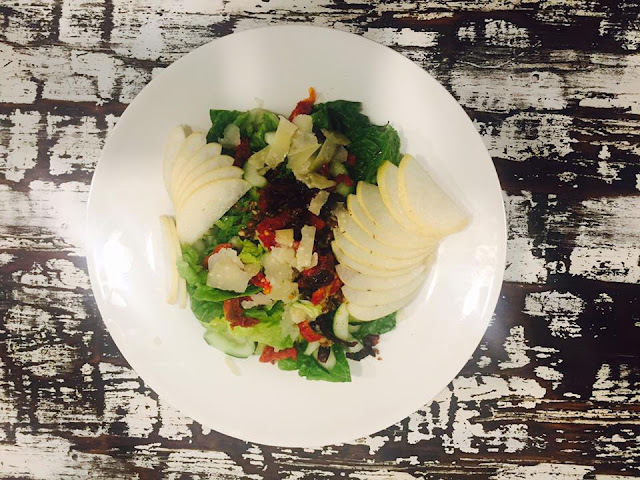 Anyways, this Greek salad has that perfect refreshing blend of lettuce, fruits, nuts, and flavored with tangy cheese. Pastitsio, P220. I didn't get to taste this but since it was wiped out by Saki (or maybe her Dad, Vincent ate it? ), I guess it tasted good! 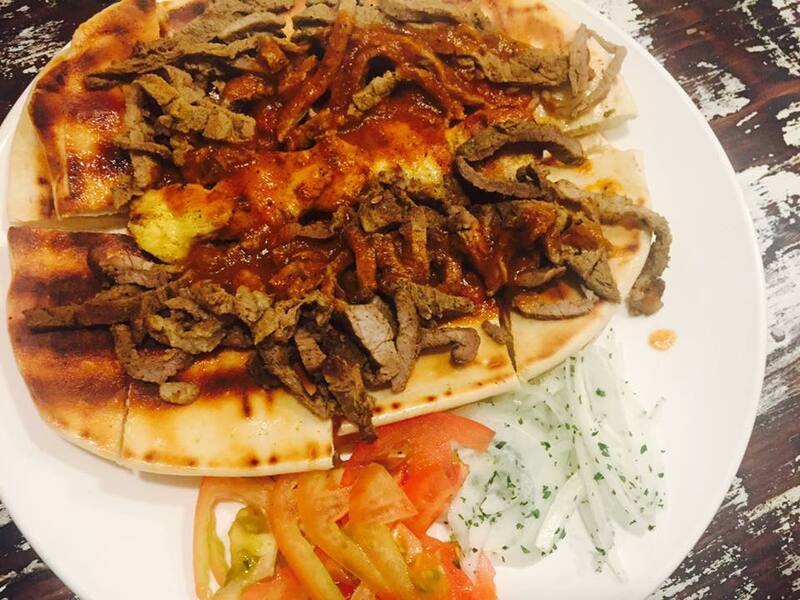 Beef Gyros, P130. I was overwhelmed with the food choice, that I can't think of anything to order but beef gyros. Best eaten while its still hot. I took a long time taking photos of the food that it was already cold when I had my first bite. Can't really remember how it tasted though. 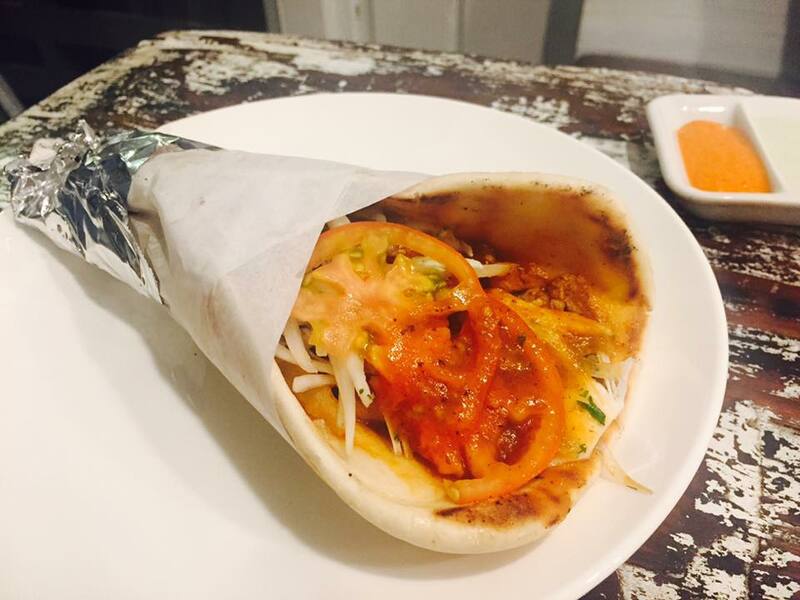 Lamb Souvlaki, P320. Daughter ordered this and it made her happy. Well, lamb and beef makes her happy. This is also easier to eat than the gyro that I ordered. Making mental note to order souvlaki next time. 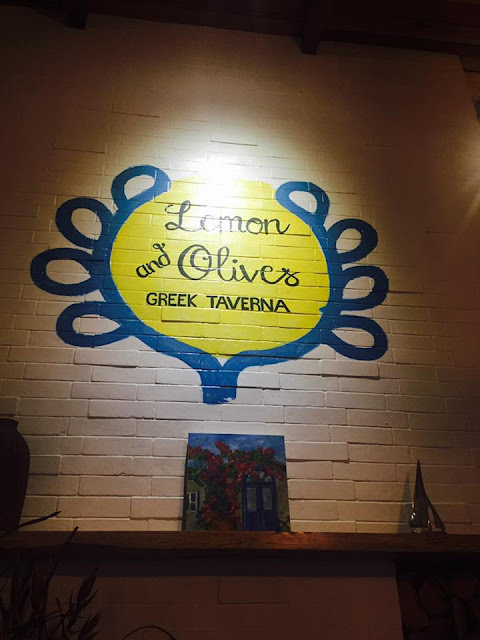 To sum it up, diner at Lemon and Olives Greek Taverna was wonderful. 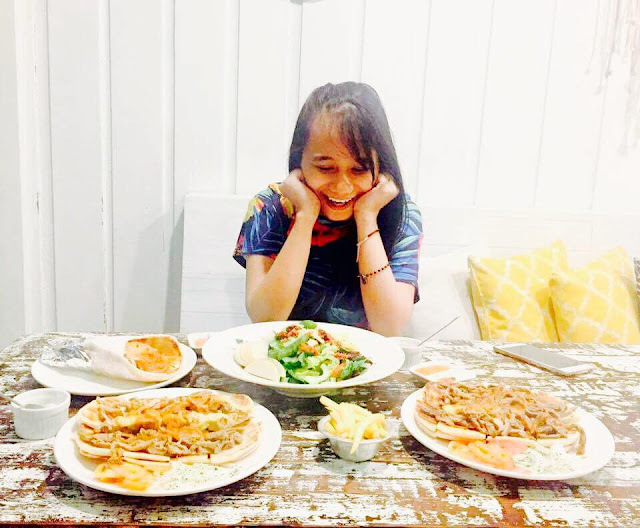 Delicious food plus great company is the perfect combination for a happy meal. Stay tuned for more food tales of Lemon and Olives. This is another restaurant to all to my list when we go back to Baguio. 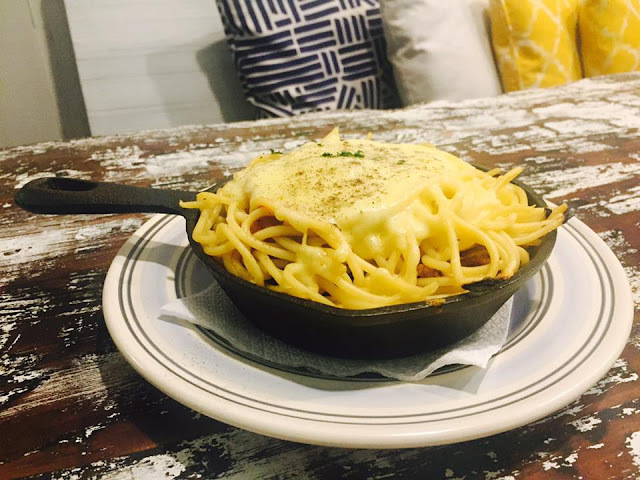 Baguio is such a foodie haven. Thanks for sharing, can't wait to visit. There are so many restaurants in Baguio na I also want to try. Ang layo lang sa amin. 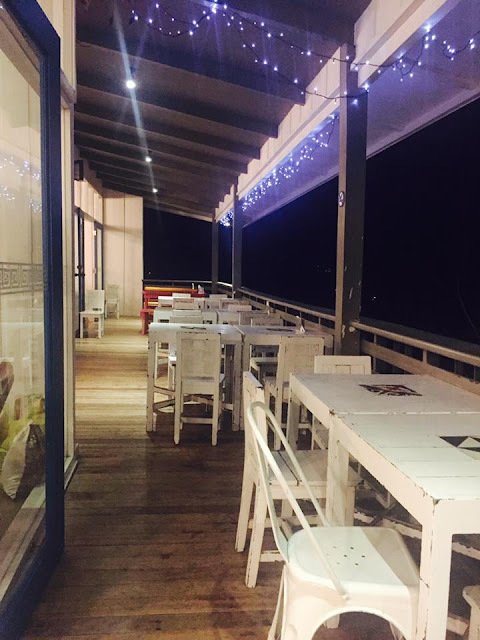 There is also Greek resto in Tagaytay that we have tried, simple din ang interior, white and blue. The foods look delicious. What's the restaurant's theme? parang shabby chic no? ang lakas makahomey ng feeling. Looks like my kind of place! It looks Instagram-worthy. At the same time, I love Greek food. Will definitely dine there on our next Baguio trip. I didn't know about this restaurant the last time I was in Baguio! Sayang, not only does the food look good, mukhang maganda pa ambience. I'll surely take note of this! I only stayed for 1 night the last time I was in Baguio so I wasn't really able to discover new restos to try. Had dinner in Hill Station in Calle Vallejo though, but would love to try Lemon and Olives next time.